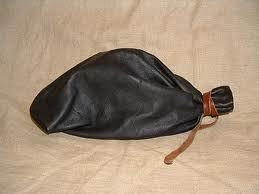 A Woodsrunner's Diary: More Gunpowder Bag Documentation. 1739. One of the authors leathern gunpowder bags.